Alongside almost 100 digital leaders within the City Region Leeds City Council held their Leeds digital summit at ODI Leeds. Following on from the opening speech by Tom Riordan the CEO of Leeds City Council Rashid Palmer a distinguished engineer at IBM talked about digitisation. The essence of Rashid’s speech was to learn digital skills for the future economy and future jobs or have the threat of being digitised and losing your job. As part of workshops and brainstorming during the day facilitated by Overlap Associates Digital Leaders came up with many ideas around how Leeds could be world class at digital. We have to remember that 75% of the UK economy is the services industry. This industry is most susceptible to digital transformation. If data is the new oil then one thing all delegates did agree upon was the need to skill up our future workforce for new era digital jobs. Dylan Roberts thought the Digital Summit was good and he went on to say “The key questions is what we going to do next and will the people in the room really join up and collaborate?”. On the note we will have to wait and see what happens next. You can listen to full podcast below. This entry was posted in Leeds, Yorkshire Tech and tagged digital summit, leeds digital summit on January 10, 2019 by Sean Gilligan. 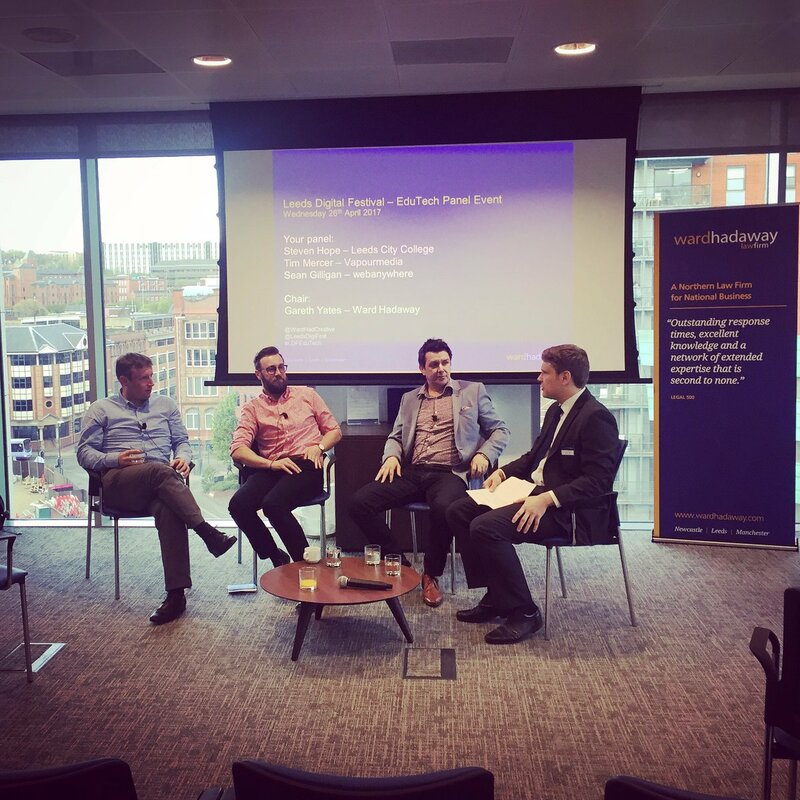 Webanywhere were delighted to attend an EdTech panellist event hosted by Ward Hadaway as part of Leeds Digital Week. After welcome pizza and drinks, Gareth Yates – partner at Ward Hadaway and host for the evening – kicked off the debate focusing on Education Technology in Leeds, the opportunities and challenges in the field and what the future holds. 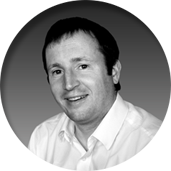 Tim Mercer – CEO of Vapour-Cloud. After a short introduction of each panel member and general questions of the panels’ motives for starting in the EdTech business, Gareth opened the floor for general questions. How do you involve teachers in your development plans? At Webanywhere we hire ex teachers and gain feedback to influence product roadmaps so products are fit for purpose and useful. We believe in a co-creation to coming up with technology to ensure amazing learning experiences. Teacherpreneurs + techies + sales = EdTech business with scale. How does implementation affect the use of EdTech products/services? The panel agreed that implementation was of key importance in order that schools gain a return on their investment on software and hardware procurement. As teachers have varied levels of digital skills, you need to look at the lowest common denominator in terms of teacher training. Non tech savvy teachers do need hand holding if they are to be successful. There was a general discussion about taking the learning to the student be it on their mobile, playstation and making the learning experience awesome. Digital education in schools needs to catch up with what is out there in the consumer marketplace as quite often our personal computers and apps are more advance than what’s in the classroom. Tim Mercer highlighted that at the moment, for children who have serious illnesses or can not attend school 1 to 1 teacher, face to face tuition is provided. The panel were incredulous that with all the technology out there, why was this prohibitively expensive method of learning still deployed? Suggestions were made that the use of digital technology would benefit students in this case through the use of lessons via video as a smarter way of engaging distant students. What is the future of EdTech? Following the final point, JISC’s release of a learning analytics projects was cited. However, LMS analytics for improving learning outcomes and interventions are only useful if the learning platform is used and therefore data can be aggregated for analysis. This means the content and the learning experience has to be highly engaging to ensure there are lots of students logging on. Who did we chat to? Chatta who use audio technology to help children accelerate their language skills. Planet Bofa – an online personalised platform for learning Maths. After an interesting evening with full attendance and most of the pizza eaten and beer drunk, it seems that the Leeds Digital Festival and EdTech in West Yorkshire are booming! This entry was posted in Leeds, Leeds Digital Week and tagged EdTech Panel Leeds on April 27, 2017 by Sean Gilligan.